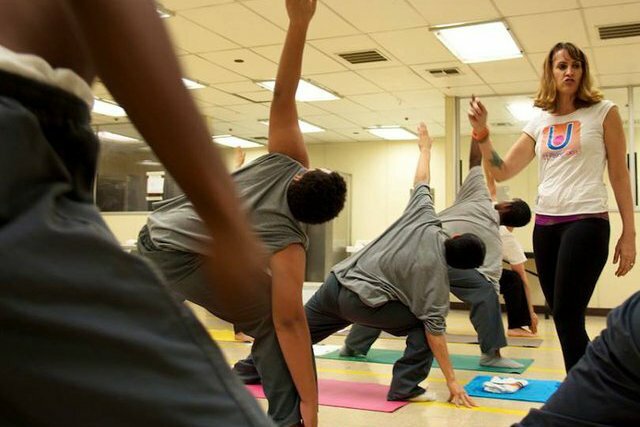 LOS ANGELES, CA, August 17, 2013 – Jill Weiss, Founder and Executive Director of Uprising Yoga, aspires to “bring yoga to at-risk youth and communities that need it most.” Located in Downtown Los Angeles, UpRising Yoga travels to juvenile halls, juvenile prison camps, and residential group homes in the L.A. area. The specific populations served in juvenile halls are children with a history of foster care and / or commercial sexual exploitation (CSEC). 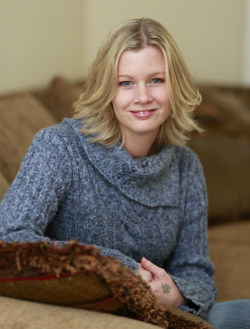 Holly Smith: Jill, your story is so inspirational. I often encourage those involved with CSEC prevention and aftercare to incorporate the practice of yoga in their curricula. Are the services you provide in accordance with any particular standards? Jill Weiss: UpRising Yoga only has certified Yoga instructors. Our yoga classes provide yoga teachers who have also taken our training, a curriculum that includes tools to bring healing to survivors of trauma. The other topics included are CSEC Training from Probation, specialized techniques to work with trauma, PTSD, anxiety, and high levels of stress. I have also taken Carissa Phelps’ Runaway Girl Training, which helped to shape our curriculum. Jill Weiss: Yes, the aftercare program. We are setting in place a structure to serve the minors when they are released from juvenile hall. We will also be planning our 2 -year fundraising celebrations this November. Jill Weiss: Whenever we are able to introduce a yoga class to someone who has never tried yoga before, to see them find the joy, the ease, and the honor of movement with an open mind in order to experience a new state of being, that is my greatest achievement. When I see their growing confidence, their sense of accomplishment, and their expressed interest on future yoga practice; that is the most meaningful recognition I experience. There are many individual stories I can share but the overall change in the yoga student has to be what I notice the most. I have witnessed defiant angry kids change into yoga students who show pride in setting up their mats, whose faces light up when we arrive, who show fast improvement in poses, who develop respect for their practice, and who value their certificates of achievement. Watching our students achieve the benefits of yoga is my greatest achievement. It is also deeply meaningful to me when people share their stories of how UpRising Yoga has inspired them to do good things in the world to help other people. Jill Weiss: My goal is to continue expansion to mental health facilities, schools, camps, and more group homes. I’d like to have an after-school program that offers yoga classes and other services mentoring and empowering youth. I hope to partner with the CSEC community on a national level; I’d like for yoga to be a consistent tool being offered and recognized for healing trauma. We intend to train yoga teachers with specific techniques and inspire UpRising Yoga Teachers to become leaders empowering youth, in order to branch out and teach in their own communities across the country. Holly Smith: What do you want the public to know about human trafficking or sexual exploitation, or specifically about your program? Jill Weiss: When we started teaching yoga in juvenile hall, we found out 82% of the foster youth were sexually trafficked. We heard the grisly details and unimaginable horrors that these minors experienced. I would like the public to know that we need to be on alert and available to help this population. Our services offer breath work to calm and heal layers of trauma, anxiety, PTSD, and anger; we offer the valuable healing tools survivors could use to restore their health. We are volunteers. I am impressed with the devotion of our teachers who drive from all over, who hold down full-time jobs and take care of their own families, but who also care on such a deep level about bringing yoga to the people who need it most. Holly Smith: How can the public help you with your plight? Jill Weiss: We could use donations for mats and new yoga clothing for the girls in group homes. We also need volunteers to help with website maintenance, blogging, grant writing, marketing, research, graphic design, and other areas. Volunteer yoga teachers are always welcome to fill out an application, and in-kind services are always welcome. We also appreciate yoga students who hold fundraisers at their local studios; this spreads the word and offers community spirit. We are happy to discuss this wonderful opportunity. Holly Smith: Is there anything else you would like to mention about your organization? Jill Weiss: UpRising Yoga started simply by volunteering and showing up. I encourage others to serve in their own communities…those who are most in need are often right underneath your nose. Human Trafficking was not a subject I knew anything about before teaching yoga in juvenile hall. Once informed, I spread the word, became more educated and set forth to help heal this trauma. Our organization has just started on its mission to bring yoga to communities that need it most and my intention is to serve this population on a much larger scale. For more information, please contact UpRising Yoga at www.UpRisingYoga.org.